Prof. Dirk Arnold is a specialist in internal medicine, hematology and internistic oncology with an additional qualification in palliative medicine. 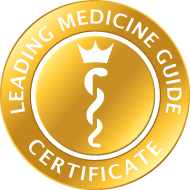 As an internationally renowned cancer specialist, (inter alia, on the board of the European Specialist Association), he specializes in the treatment of tumor conditions such as bowel cancer, gastric cancer and esophageal cancer (he is also the Coordinator for the European ESMO Guidelines in this field) and in the treatment of hematological conditions (such as leukemias or lymphomata). 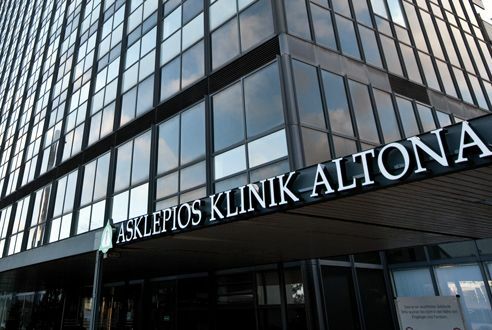 Prof. Arnold has headed the Department of Oncology with the Hematology Section at the Asklepios Altona Hospital, Altona in Hamburg, which provides the entire treatment range for all oncology and hematology conditions, since 2017. In addition, as its Medical Director, he is responsible for the management and the development of the Asklepios Tumor Centre, Hamburg, in which around 200 cancer specialists work in interdisciplinary collaboration across locations in order to guarantee cancer patients in northern Germany the best possible treatment and care. The service portfolio of the Department of Oncology with the Hematology Section at the Asklepios Hospital, Altona and of the Asklepios Tumor Centre, Hamburg ranges from chemotherapy, immunotherapy and hormone therapy to advanced forms of molecular biological therapy (such as antibodies, kinase inhibitors, etc. ), to stem cell transplantation and to palliative medical therapy. Personalized therapeutic strategies are determined in the interdisciplinary tumor conferences, which take place several times each week, and are invariably oriented toward national and international guidelines. Here, above all, patients with tumors of the gastrointestinal tract, lung cancer, tumors of the head and neck, acute leukemias, lymphomata, multiple myelomata, gynecologic and urogenital tumors and growths of the central nervous system are treated. The hospital is very active in the area of clinical studies, and in numerous national and international study groups. As a result, very early access to innovative therapeutic approaches can already be made possible for the patients treated. The team in the Department consists of specialists in the various medical disciplines involved, nursing staff, psychooncologists, therapists, physical therapists, chaplains and social workers. Under the leadership of Prof. Arnold, it supports the patients and their relatives during their entire in-patient stay and the out-patient treatment in the day hospital or the attached Medical Care Center. As an internationally renowned cancer specialist, Prof. Arnold has longstanding experience in the field of oncology and hematology. He completed his medical and specialist training in Ulm and Berlin. He then worked, inter alia, as the Chief Resident of the Department of Hematology and Oncology at the University of Halle-Wittenberg Hospital and as the Medical Director and Head of the Medical Department at the Hubertus Wald Tumor Center of the University Hospital, Hamburg-Eppendorf (UKE). He has also been the Medical Director of Internistic Oncology in the Tumor Biology Department at the University of Freiburg and was the Founding Director of an academic cancer center in Lisbon.